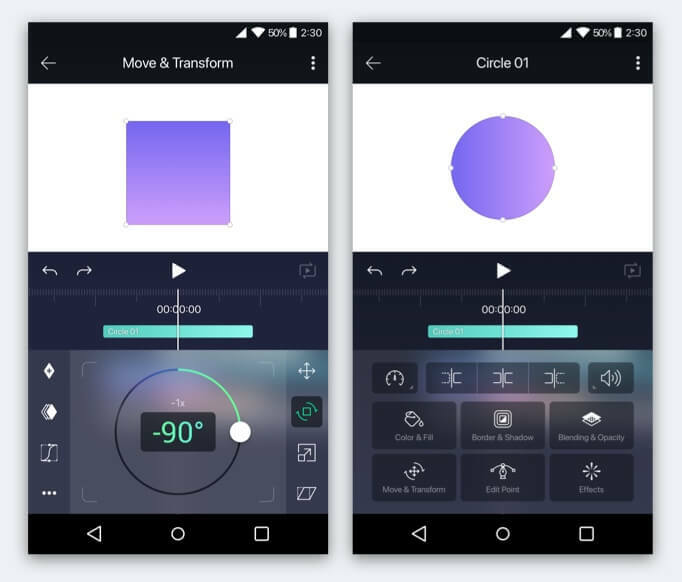 Ready for a revolution in motion graphics on your smartphone?. Alight Motion is an smartphone application bringing support for animation, motion graphics, video compositing, and visual effects to your phone. We are very pleased to announce the production launch of Alight Motion for Android. Download it today on Google Play. We are hard at work on Alight Motion for iPhone and iPad. While we can't make any official promises this far in advance, we are targeting late Q1 or early Q2, 2019 for a beta release. To stay up to date about the iPhone/iPad release and other news, follow @AlightCreative on Twitter or enter your e-mail address below to join our release mailing list.